The number one excuse I hear from clients ALL THE TIME is that they have no time. I get it, you are busy, but the more I work with people we somehow can find enough light in the day to make the right nutritional choices 90% of the time. You don’t have to be the diehard Sunday meal prepper (unless you want to be). Maybe you just cook enough protein, veggies and carbs for dinner each night and you fill in the gaps. Struggle to find time to cook breakfast because you are running around with the kids? Make breakfast the night before. Or maybe you are a flexible dieter(if not, you should be), and you grab and go on the run or find your favorite stops around work to hit your macros. Whatever it is, just find what works for you! You can eat more than eggs and chicken to get results you know? Get creative! Fish, shrimp, turkey patties, deli meat, jerky. Back in my early twenties all I ate was chicken. Well, I got tired of it. I literally couldn’t chew it anymore. That was before I knew I could eat more than chicken. Now I have beans, Greek yogurt, plus my usual foods to hit my protein numbers every day. You can put that sh*t on anything! Add it in your oatmeal, make a shake, and bake with it. 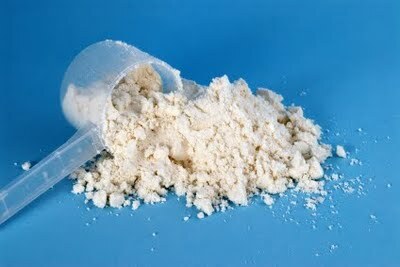 There is more to protein powder than just putting it in a blender bottle and shaking it up with water or milk. 2. Place in the fridge for a few hours and then enjoy.